But if you are lucky, the path failover can be handled by the device drivers. In my case, I use one of the IBM TS series tape drive which is in the supporting list. There are two types of path failover: DPF and CPF. 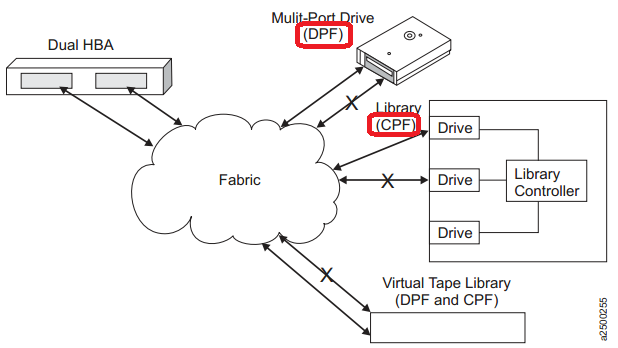 DPF stands for Data Path Failover, which provides error recovery for system connected tape drives. CPF stands for Control Path Failover, which is an automatic failover support for the transfer of command to move tape cartridge. The DPF and CPF can be enabled or disabled by importing the relevant registry file which is in the reg folder. Where to check FC code for tape libraires to use CPF , DPF , any links ? Refer the installation guide. The link can be found at the bottom of my post.